The Party Wizard offers the best spit roast catering ideas to complement any event in Melbourne or Sydney. No need to worry about the food at your next event with our cheap spit roast catering platters. Perfect for all year round, we’ll put the icing on your event without spending an arm and a leg! Available in Melbourne and Sydney, our catering packages based with roast chicken, pork, lamb or beef are a guaranteed hit with your guests. At The Party Wizard, we like to keep it simple and stress-free; you can opt between a fully staffed event or have your food delivered and dropped off at your home or office – too easy! 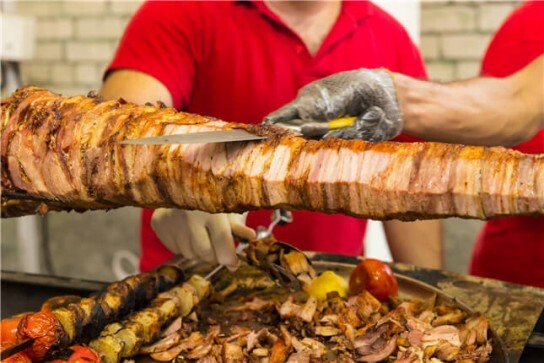 View our Spit Roast Catering menu here. You just bring the guests, and sit back and relax! From a basic Sausage Sizzle, through to our Gourmet Wizard BBQ package, we have a package to suit any occasion or budget! 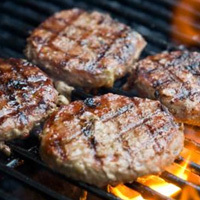 View our BBQ and Buffet Catering Catering menu here. 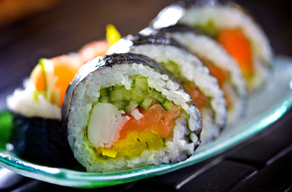 This sushi platter includes California Rolls, Salmon, Chicken, Tuna, and many vegetarian varieties! This is a fabulous Asian catering idea. 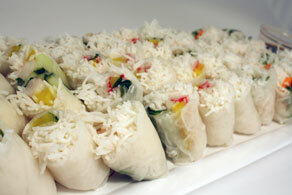 Each platter contains 40 pieces of yummy Vietnamese Rice Paper Rolls. 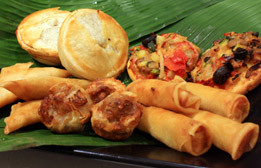 An authentic Asian finger food!40 pieces gourmet sandwiches per platter! a variety of chicken, ham, vegetarian, tuna, and roast beef sandwiches! OurAntiPasto Platter great selection of different cheeses, olives, sun dried tomato etc! 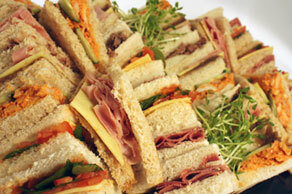 40 pieces gourmet sandwiches per platter! a variety of chicken, ham, vegetarian, tuna, and roast beef sandwiches! Our AntiPasto Platter great selection of different cheeses, olives, sun dried tomato etc! 190 pieces of delicious finger food! 7 – 8 pieces per guest. 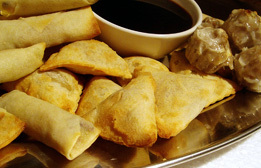 It is a perfect catering idea for small functions. Package suits order in multiples of 24 people. 198 pieces of food! 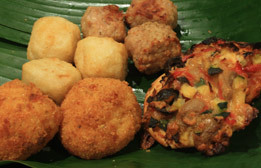 7 – 8 pieces per guest. Package suits 25 people, order in multiples of The Entertainer is a great catering idea which will satisfy longer functions with more pieces per guest. 388 pieces of food! – 19 pieces per head! The works! A combination idea of both the favourites and the entertainer package! 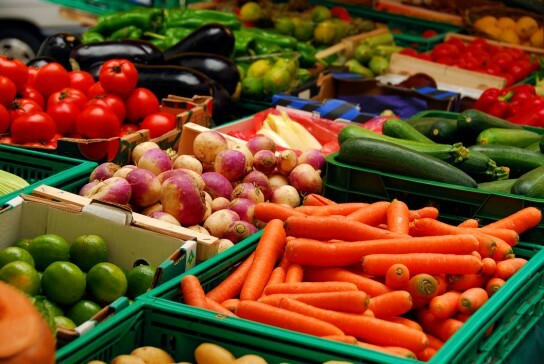 Plenty of food for a longer function or even a meal replacement! Order in multiples of 20 guests. It is a perfect catering idea for vegans. A total of 202 pieces! $140 per pack!